Fresh from the great success of the summer exhibition focused on the Ancient Egypt jewelry and refined handicraft, the Golden Treasures of the Pharaohs, that attracted 80,000 visitors, the Grimaldi Forum is now celebrating a second correlated event. 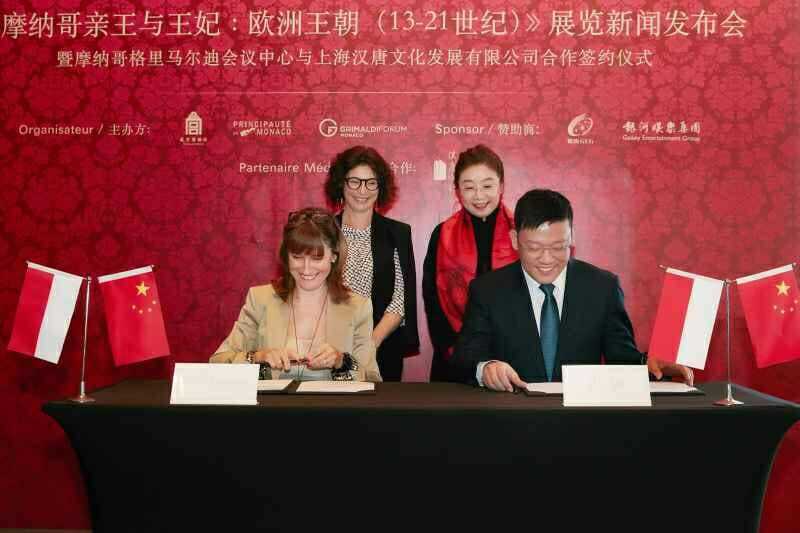 In fact, the twin exhibition, “Princes and Princesses of Monaco”, set in the Forbidden City of Pekin (China) until the 11th November 2018, is arousing an incredible interest among Chinese who are fascinated by the private collection of H.S.H. Prince Albert II of Monaco, including a memorable tribute to Princess Grace. But let us think about the future! 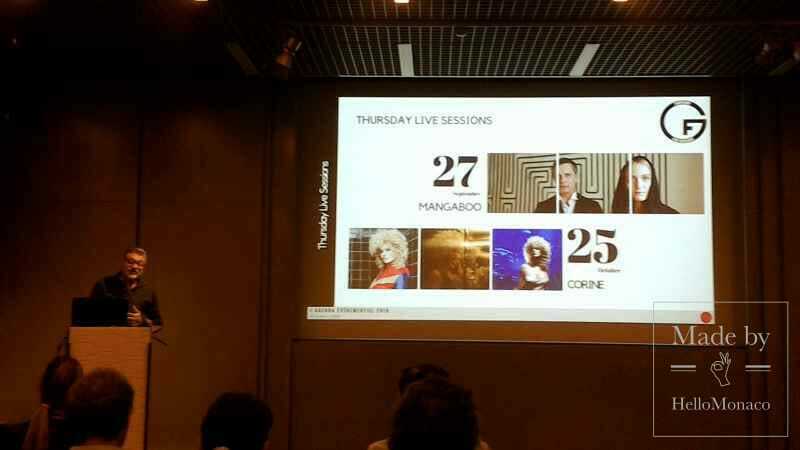 The iconic eco-friendly Monegasque Congress Center is preparing to inaugurate a new intriguing Season which is going to drive us to 2019 in the spirit of international artistic talent, innovation and sense of humor. 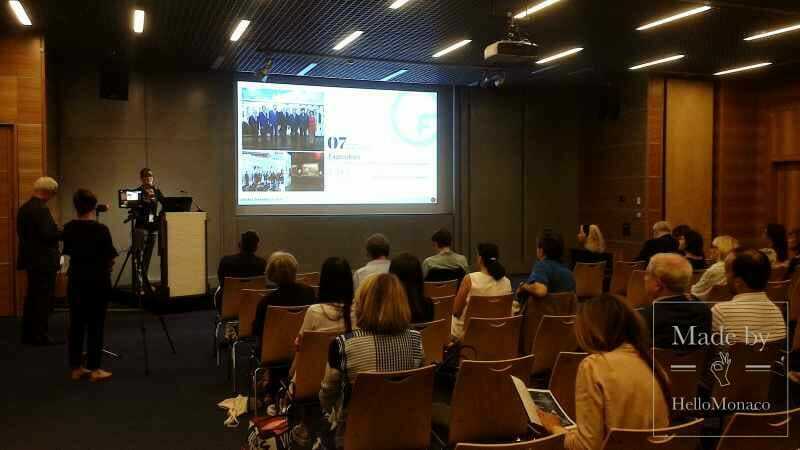 Sylvie Biancheri, general director, officially presented the 2018-2019 Event Program last Wednesday (19th September 2018) starting with the next Summer main event described in first preview. An exhibition entirely devoted to one of the most representative artist of the 20th century, Salvador Dalí, on the occasion of the 30th anniversary from his death. Under the supervision of Montse Aguer, director of the Dalí Museum, the Catalan artist will live again through 50 paintings and 30 drawings dating from 1910 until 1983. Moreover, a second exhibition will welcome all visitors on Summer 2019. From 12th July until 28th August 2019, the Maison Chaumet will set up the Art of Tiara, a unique show of the main refined creations which have been designed by the renowned jewelry house for European royal families for 240 years. 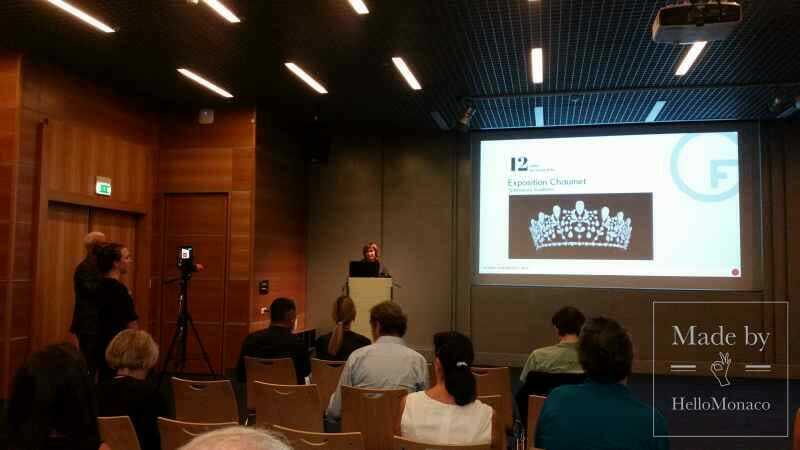 The visitors will be guided, then, by the feedbacks of the journalist and writer, Stéphane Bern, and the royals’ expert, Christophe Vachaudez. Meanwhile, a kaleidoscope of events is yet to come! 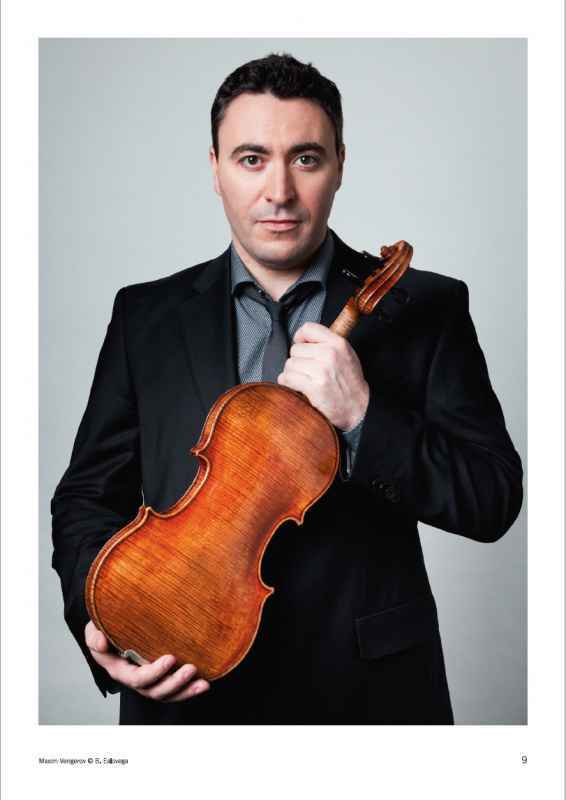 The Orchestre Philarmonique de Monte-Carlo is opening soon, on 21st September 2018, with an undisputed violin star, Maxim Vengerov interpreting Chostakovitch’s masterpieces. 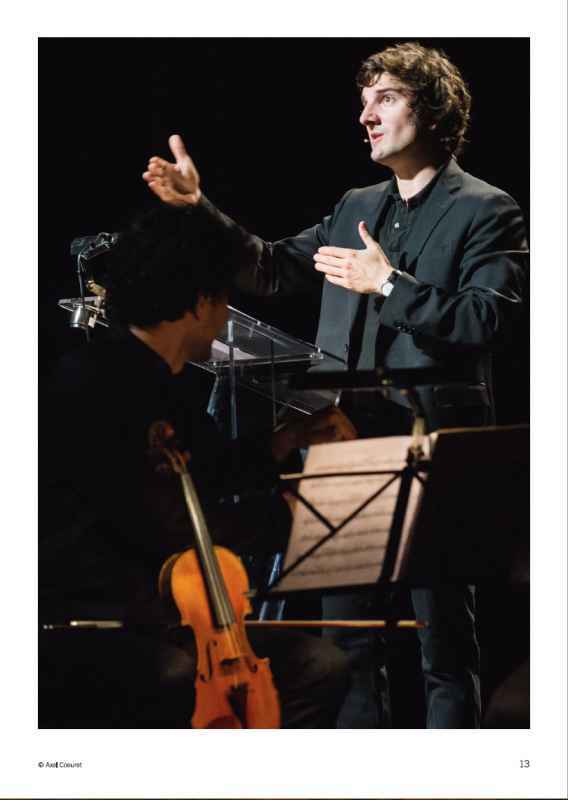 In October, an avant-garde show based on the concept: “I don’t like classic, but this isn’t bad”, conceived by Gaspard Proust, music lover who will try to attract the audience to that music genre performing some masterpieces from Bach to the 20th century classic, from an unexpected point of view. The SPORTEL Awards will gather together the most relevant sport celebrities at the Grimaldi Forum, under the patronage of H.S.H. Prince Albert II of Monaco and the International Olympic Committee. François Berléand and his theatrical company will perform “Ramsès II”, by Sébastien Thiéry, a mysterious story of a young couple on their return from a visit to Egypt. 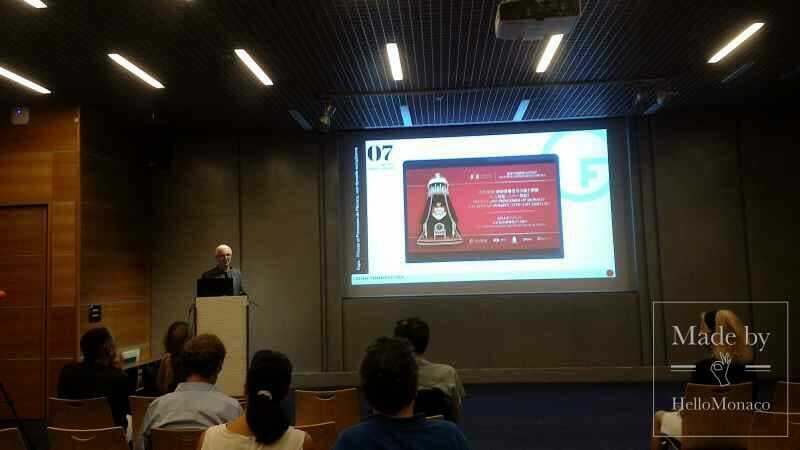 In November, the 9th edition of Monaco International Clubbing Show (MICS) will transform the Grimaldi Forum in a privileged leisure hub for providers and suppliers in the field of nightclubs, bars, restaurants and beaches. The Opéra de Monte-Carlo will play out “Samson and Dalila”, an evocative musical work by Camille Saint-Saëns. 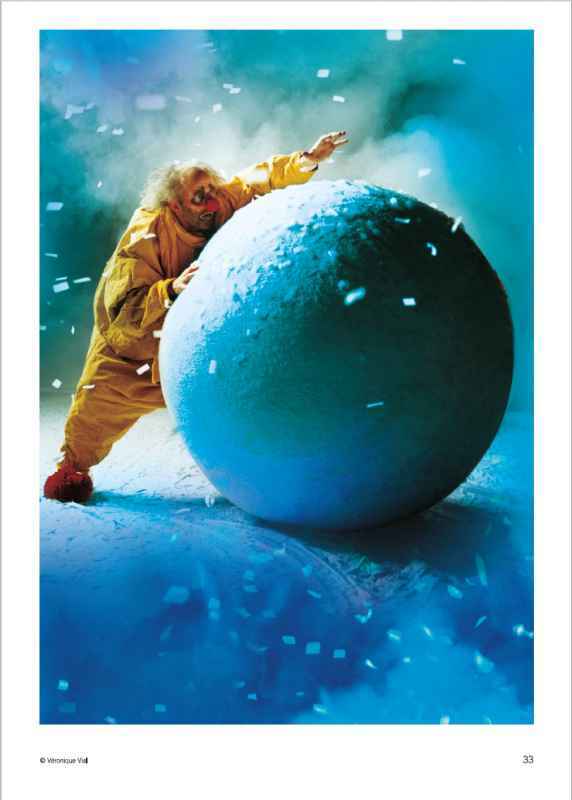 In December, the Slava’s Snowshow (created in 1993) will bring on stage clown-poets who will involve the audience in a magical snow storm full of wonders and surprises to better introduce Christmas time. The Ballets de Monte-Carlo Company will be involved in the Monaco Dance Forum offering three top level performances: “The Great Tamer” by Dimitris Papaioannou (creator of 2014 Olympic Games), “Grand Finale” by Hofesh Schechter and “Noé” by the Malandain Biarritz Ballet. 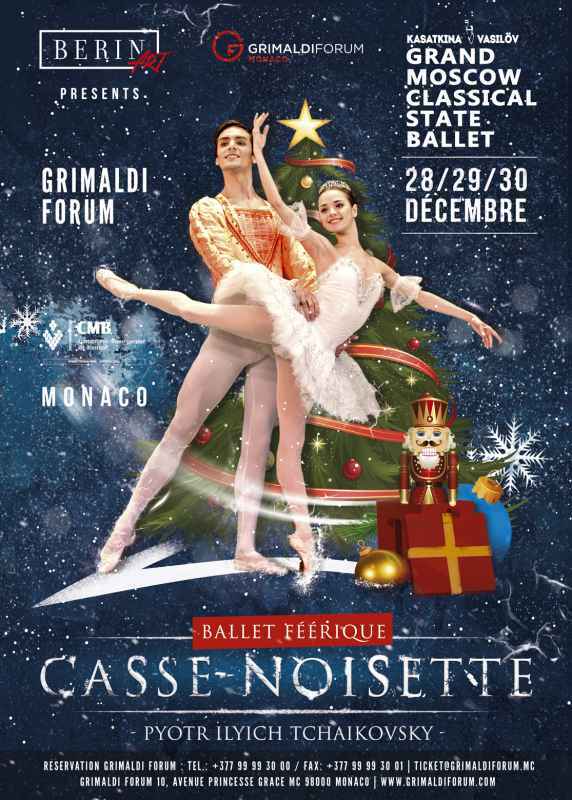 The Grand Moscow Classical State Ballet by Natalia Kasatkina and Vladimir Vasilyov will present a fascinating creative performance of “The Nutcracker” by Tchaikovsky, for the first time in Monaco. The Grimaldi Forum will host only exceptionally the BRICKLIVE Christmas Monaco, converting the congress hall into a wonderland for LEGO® fans. 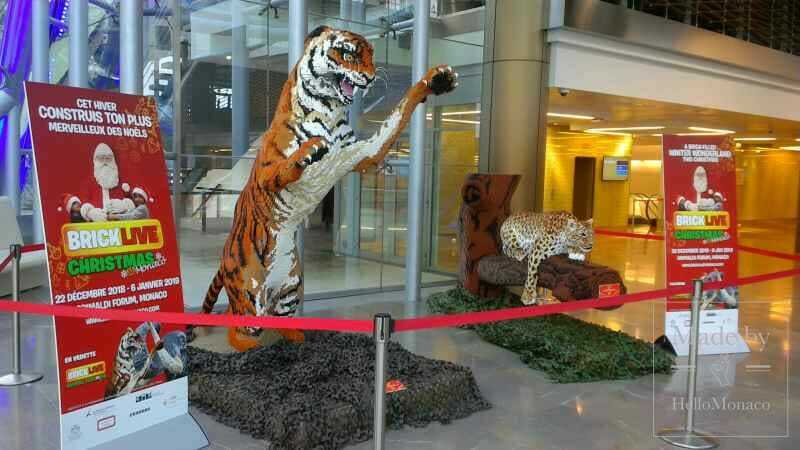 Following the success of the Londoner experience in 2017, young visitors (but not only) will be able to create their preferred brick-built shape in a dedicated area, including the Animal Paradise LEGO®, breath-taking brick-building masterpieces of major endangered animals at full-scale. An important eco-message on the importance of preserving biodiversity reaffirmed by the photo exhibition “Living Together” by Jean-Charles Vinaj and the very special meeting with Pierre Rabhi, pioneer on organic agriculture (both planned in November). “Airnadette, le Pire contre Attaque” will positively shock the audience at the beginning of the new year, proposing an unprecedented rock musical within the best of pop culture icons through an unlikely science fiction journey. In March 2019, finally, the talented magician Langevin will present his great illusion in “Now Tomorrow”, a pioneering and poetic magic show. Last but not least, a series of complimentary quality music concerts will be performed once per month on Thursday Live Sessions presenting a nice medley of house, jazz, techno, soul, sensual, disco-pop and country music. The coolest sounds to accompany the whole Season!